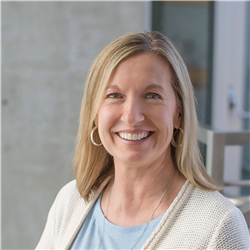 Kathi Applegate provides administrative support for the Founding Head of School and works closely with him on a variety of matters, including board governance, community relations, and event planning. She comes to Thaden from the Walmart Home Office with more than fifteen years of administrative experience. Kathi and her husband enjoy biking, camping with their black lab, Raven, and attending the Arkansas Razorback football games. They have six children and a granddaughter and have called Northwest Arkansas home for 18 years.